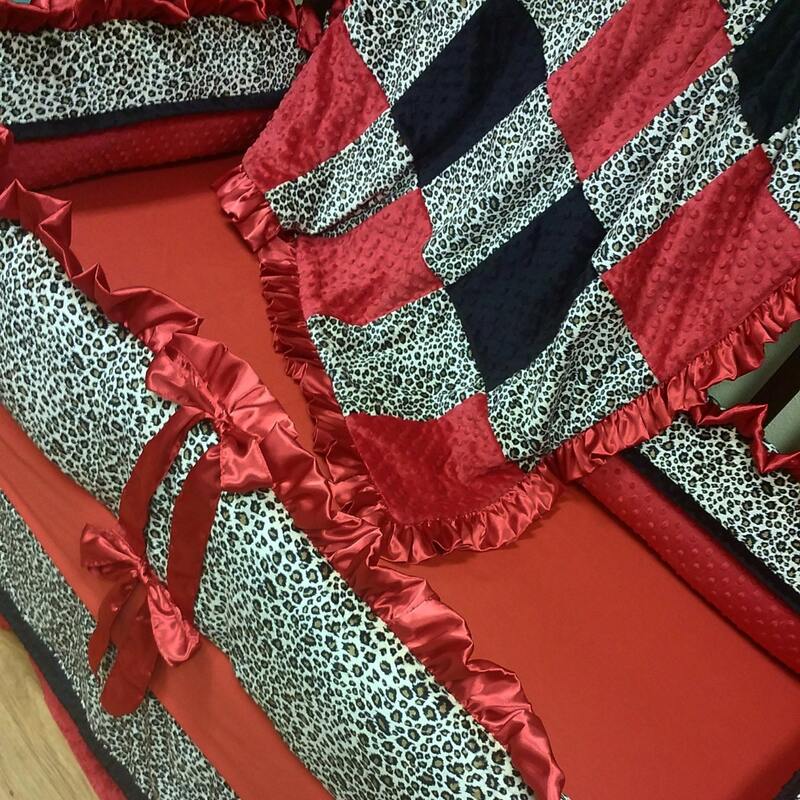 Cheetah, Red, Minky, Crib Set. You design. Several Colors Available. Design your own custom baby bedding. We have several fabrics to choose from. If you do not see a fabric on my page you are looking for, please message me some examples. I would be more than happy to locate your fabric for you, purchase it, and create your dream nursery for you. Zebra, Cheetah, Giraffe, Leopard, and other animal print designs also available. This particular set shown we used red minky with our tan cheetah minky. Bumpers - our bumpers come as 4 pieces. This makes them easier to wash. Bumpers available with a ruffle or cording. My turn around for crib sets is 2-3 weeks. Payment plans available.